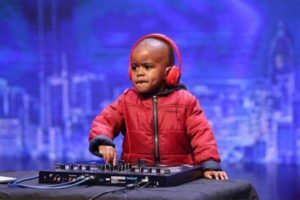 DJ Archie Jnr Wins Simon Cowell’s Heart At America’s Got Talent Champions. He has made us proud on an international stage. His set stunned the audience and the judges alike. One of them is Simon Cowell who is known to be hard to please. It looks as if Simon wants to take Arch under his wing because he said he has plans for me. South Africa was also proud of the youngster, and sent congratulatory messages. DJ Arch is about to get managed by Simon Cowell & take it to the top. The kid is gone! The post DJ Archie Jnr Wins Simon Cowell’s Heart At America’s Got Talent Champions appeared first on Youth Village.